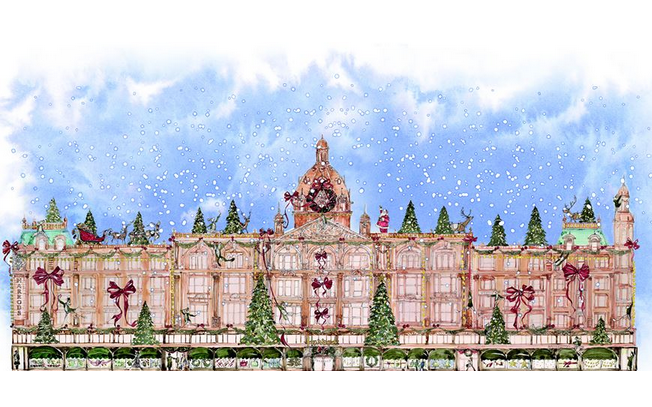 In anticipation of the festive season, Harrods has announced the launch of a Christmas afternoon tea at their flagship restaurant, The Georgian. The Christmas-inspired tea will be available from the 6th of November and can be booked in advance from now. Menu highlights include finger sandwiches such as Roast Dee Valley turkey, rocket leaves and spiced pear chutney, Maple-glazed Wiltshire ham and Montgomery Cheddar cheese as well as a sausage and red cabbage tartlet. Afternoon tea fancies include Snowflake Christmas cake, Sparkling Christmas bauble and a Frosty meringue snowman. Champagne is also available for those wanting a merry toast! The festive afternoon tea is priced at £42 per person and £56 per person for the champagne afternoon tea. Reservations can be made on 020 7225 6800.